I ran into Belle (7 months old) last week. She is, according to mom, ‘mistress of the side-eye’, but she was super sweet and friendly. 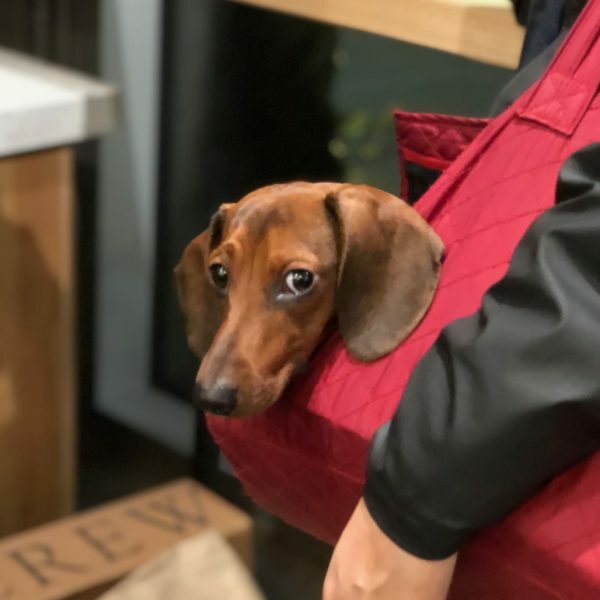 There’s that side-eye. I got lots of side-eye and lots of face-licks. 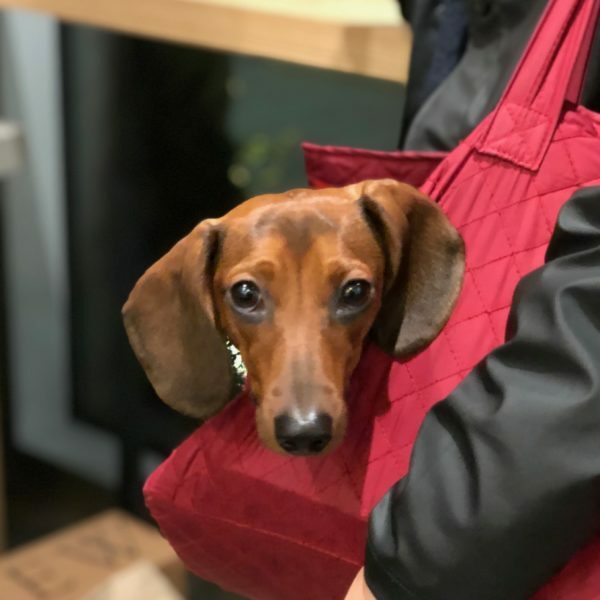 This entry was posted in Dog of the Day and tagged Dachshund, Mission, SOMA, Work. Bookmark the permalink.